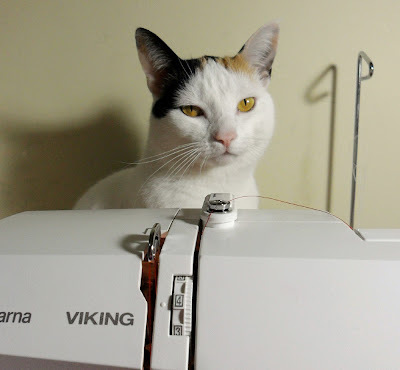 I'm making new knitting/crochet project bags for my Etsy shop, and my self-appointed overseer takes a very keen interest in the entire process. 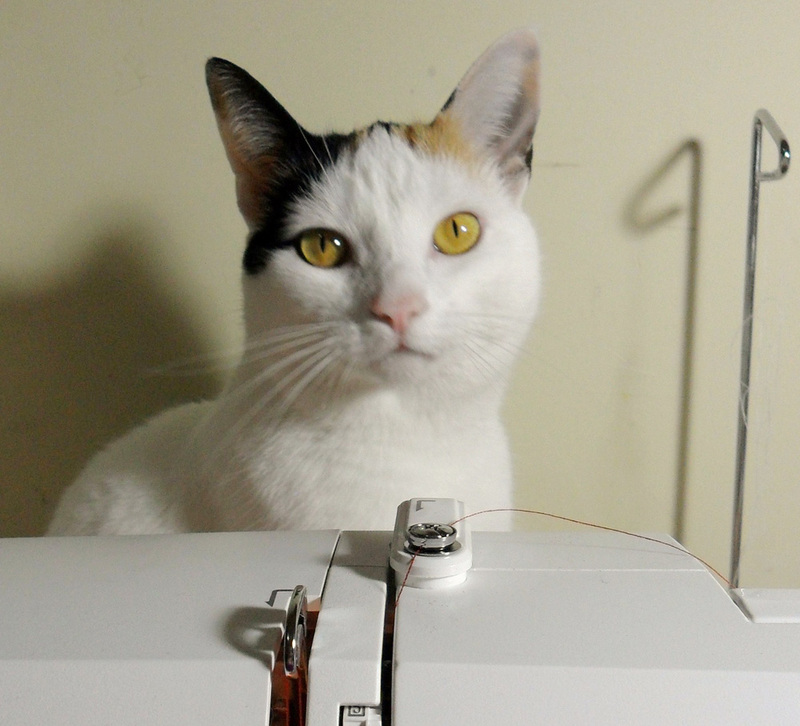 She even has her favourite crochet blanket set up at the back of my sewing machine for when she needs a break from her duties. 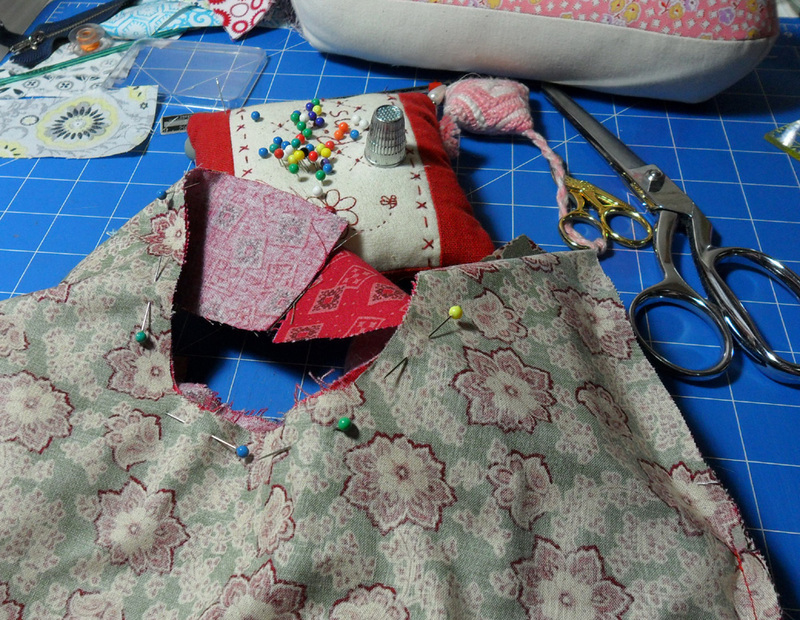 Japanese Knot Bag in progress using gorgeous 19th century repro fabrics. Mind you, her role is strictly supervising, she's not a 'paws on' gal.